Finally. For weeks I have despaired at the hackneyed plans and constant attempts at sabotage on the part of our feckless foes Morgana and Lord Agravaine. It seemed that for the longest time, both were satisfied to wreak havoc for the sake of it and they haven’t had a good plot for weeks on end. Well, there was a point in this latest episode, “The Hunters Heart” where I considered that perhaps I had been too harsh in my judgement over the past episodes because I was enjoying it so much. After all, my opinions had ranged from hoping Morgana and Agravaine would just die to wishing they had better plots and scripts to work from. I soon realised that I was simply pleased because they had a half decent storyline. “The Hunters Heart” opens with Gwen (Angel Coulby) draped in the same sack cloth that she was exiled in, toiling away in a pig pen in an unnamed village. The village is suddenly set upon by bandits but instead of killing her, their leader Helios (Terence Maynard, Young Dracula) takes her in to be part of his harem. Meanwhile, King Arthur (Bradley James) calls his court to order in the council chamber. 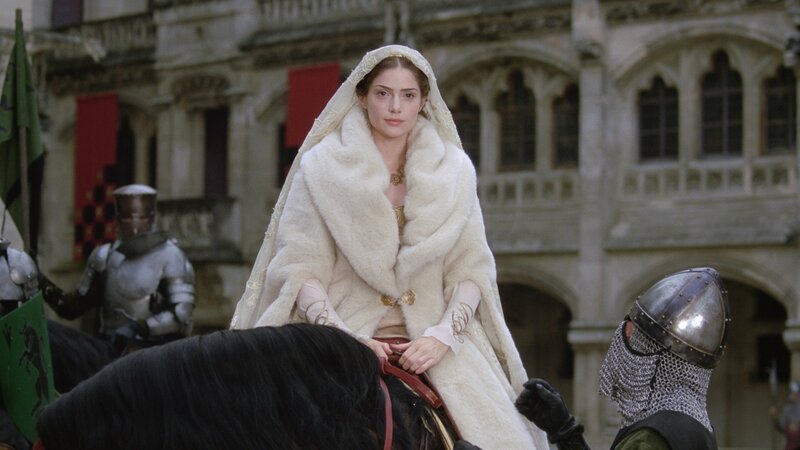 He announces that as part of a peaceful negotiation with the neighbouring kingdom of Nemeth over Camelot’s disputed claim to the lands of Gedref, he is to be united in marriage to Her Royal Highness, Princess Mithian. It does not go down well. 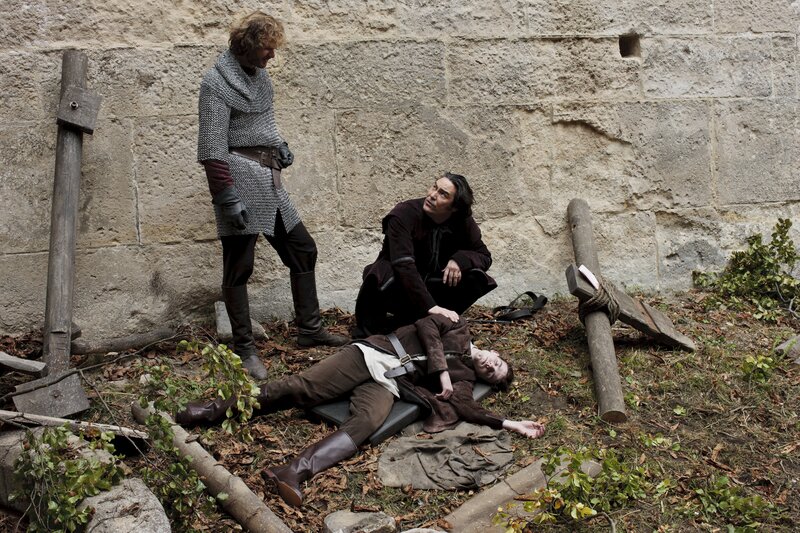 Arthur can barely believe that Merlin has challenged him and this is a particularly sore point with Arthur. Arthur: “You ever say anything like that again and I swear you'll join her in exile forever”. You know, it is possibly time that Merlin learns some boundaries and that is a prominent theme in this episode as Merlin learns that no matter the importance of destiny and Arthur’s fate, none of it means anything unless Arthur enters that position based on his own choices and actions. With the impending union of the kingdoms of Nemeth and Camelot comes the danger that Camelot will become increasingly strong and powerful. This is not an outcome that Morgana can allow as it will endanger her own claim to the throne. 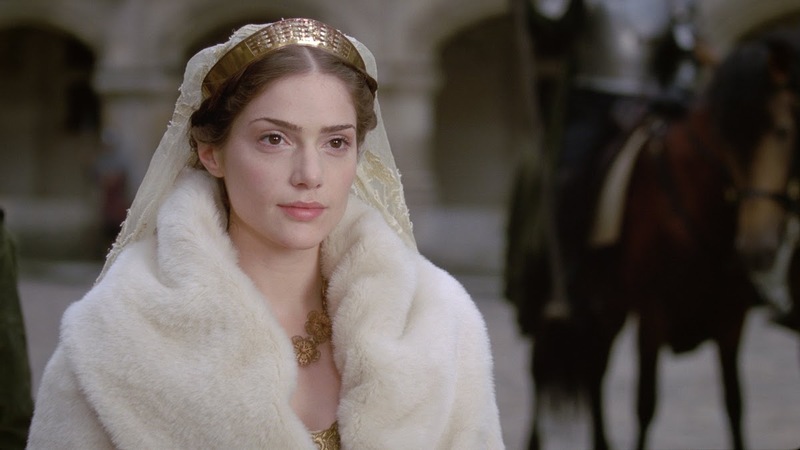 To this end, she has tasked Agravaine with obtaining the plans for the siege tunnels so that she can invade Camelot with her own army and take down the kingdom once and for all. See? I told you it was a reasonable plot! For his part, Agravaine employs the mapmaker’s apprentice Eoghan (Tom Meredith) to steal the plans, murdering him when he fails. In a stroke of genius, he frames the dead boy for the theft anyway and gains access to the vaults himself when Arthur allows him to perform a complete inventory. Princess Mithian arrives and she is far more lovely than we could ever have expected. She is witty and intelligent, yet gentle and modest. Arthur is quite taken with the lovely princess and even Merlin comes to realise that she is not an enemy here. Janet Montgomery (Human Target) plays Mithian and I absolutely loved her accent. Back in the lair of Helios and his army, Morgana comes to visit and Gwen perches on a rock and eavesdrops as Morgana plots with Helios to invade Camelot through the siege tunnels. The rock breaks under Gwen’s weight and Morgana and Helios know that they have been spied upon. Gwen takes off into the woods, knowing that she must warn Arthur at all costs. Morgana soon realises that Helios had Guinevere in his custody and she insists that they follow her. They search most of the day and the night but it seems that Gwen has evaded them for now. In Camelot, things are looking very cosy between Mithian and Arthur and they head off on a hunt. Merlin makes his views on hunting quite clear but hey, killing defenceless animals is just sport, right? In another moment of plot genius, Morgana finally catches up with with, enchants her and turns her into a deer, putting her right in harm’s way of being shot at by the hunters. Merlin certainly sees through the enchantment and recognises Gwen beneath the magic, using sorcery to deflect Arthur’s arrow. Mithian’s shot hits target though but at that point, Arthur discovers Gwen’s necklace and her betrothal ring. It is unlikely that he quite understands what has happened here or that he recognises Gwen but he calls off the hunt and shuns Mithian. 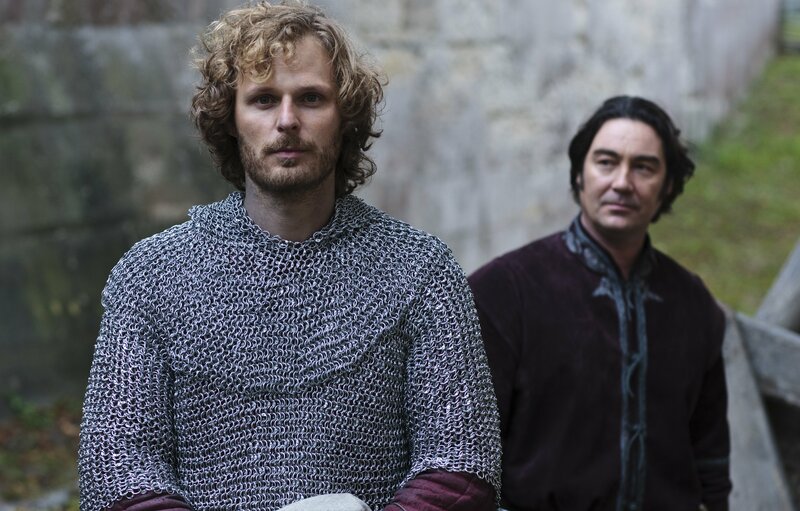 There are some great performances in this episode, especially from Bradley James as Arthur comes to terms with his confusion and anger over the betrayal and his lingering feelings for Gwen. I do think that Merlin overstepped his boundaries in this episode but once again, Colin Morgan gave a fine performance and I loved the scenes where he healed Gwen and counselled Arthur. 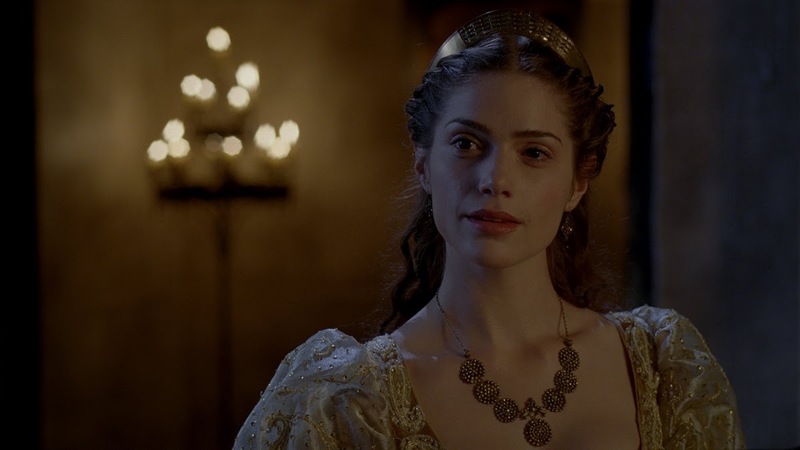 Janet Montgomery was delightful as Mithian and I look forward to seeing Terence Maynard reprise his role as Helios in the final two episodes of the season. 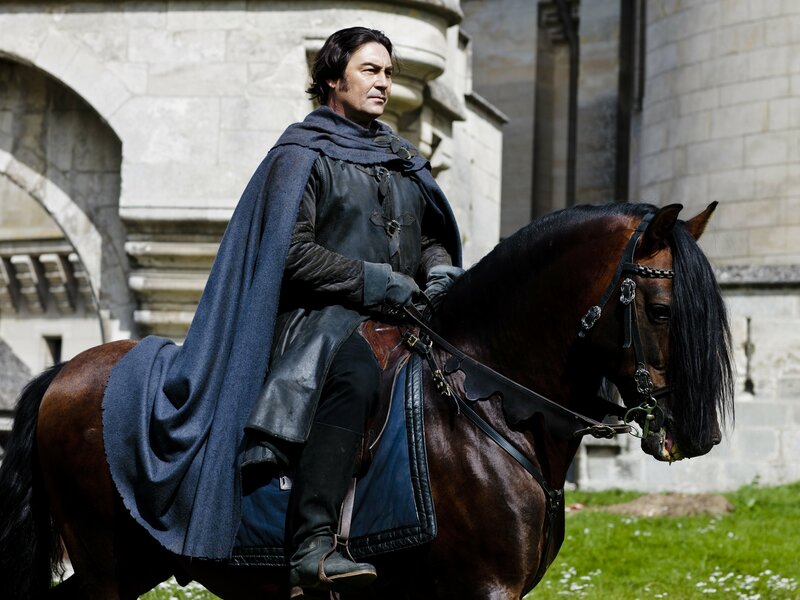 Most of all, I’m just really glad that Morgana and Agravaine have come up with a half decent plan to invade the palace and I look forward to the final story of the season, “The Sword in the Stone”. I think the next story arc is going to be incredible and will see Merlin crashing straight into Arthurian legend with the appearance of Tristan and Isolde, the famous sword in the stone and (hopefully) the return of magic to the kingdom of Camelot.